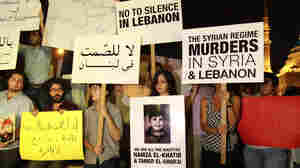 Lebanese and Syrian protesters demonstrate against the Syrian government in Beirut in August. Syrian defectors say they fear the Syrian regime will track them down, even in Lebanon. October 5, 2011  The uprising in Syria has driven many to leave the country, both soldiers and civilians. 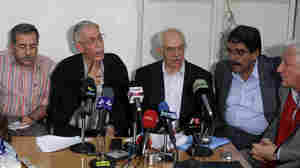 But the exiles say that the Syrian regime has often crossed the border to hunt down its opponents. 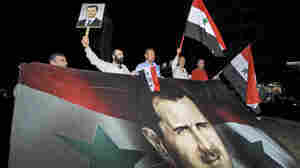 September 28, 2011  Despite demonstrations at home and increasing pressure from abroad, Syrian President Bashar Assad is giving every indication he plans to stay put and fight. As the standoff continues, there are fears the largely peaceful protest could turn more violent. September 25, 2011  The Internet has become another battleground as the Syrian government expands its crackdown on opponents. Sophisticated Web surveillance of activists has led to numerous arrests. 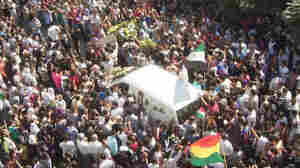 September 19, 2011  Syrians have been protesting against President Bashar Assad for months. This weekend, the dissidents were allowed to meet — though it was under the watchful eye of the security police. August 3, 2011  Syrian protesters have faced a relentless crackdown by President Bashar al-Assad's security forces. 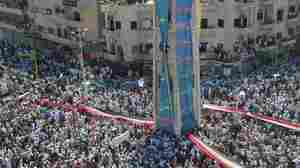 Yet the demonstrations continue to grow despite the deaths, detentions and the lack of any clear leadership. August 2, 2011  Syrian activists vow to be on the streets nightly during the holy month of Ramadan, stepping up protests of President Assad's regime. Ahead of Ramadan, the government has increased mass arrests. 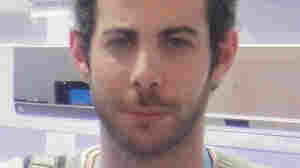 Despite being jailed for two weeks, one activist says, "I am not going to stop." July 22, 2011  In Syria, army tanks have swept into the country's third largest city Homs. It's part of an assault on heavily populated residential neighborhoods. 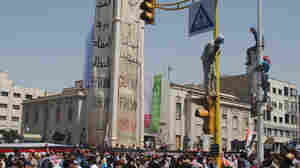 The army assault appears to mark an escalation of tactics to crush the protest movement in Homs. July 21, 2011  A Lebanese town that straddles the border with Syria expected to see a wave of Syrians arriving after escaping recent sectarian violence in Homs. But the Syrian army apparently has shut down all escape routes. Only a small number of Syrians managed to get out. 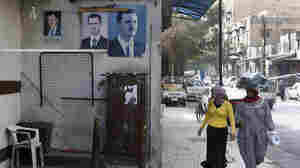 July 19, 2011  Media professionals in Damascus who used to work on campaigns for breakfast cereals and home mortgages are now turning their talents toward a campaign they say promotes a peaceful, democratic way out of the ongoing clashes in Syria. The polarization in the country, they say, is profound. 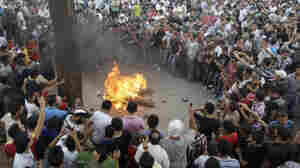 July 15, 2011  There were massive opposition protests in towns and cities across Syria Friday, despite an ongoing government crackdown that left at least 19 protesters dead. Hundreds of thousands marched in cities like Deraa, Hama and Homs — all three have been major hubs of the protest movement. 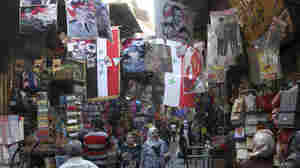 But there were also protests and violence in Damascus Friday. The Syrian capital has been comparatively quiet until now.